We have compiled four of the most bizarre and famous personal injury cases of the last twenty years. To start our list, we wanted to begin with two very well-known, but also very strange, personal injury lawsuits. What makes these cases so bizarre is that, in both instances, the injured person was guilty of trespassing. If someone is trespassing where they are not supposed to and get injured as a result, who is at fault? Let’s take a look at two cases with very different outcomes. The first case, from 1999, involves 27-year-old Daniel Dukes and SeaWorld. SeaWorld, a marine-themed amusement park, has had its share of bad publicity in recent years. In this particular case, though, it may be hard to fault them. Dukes, a South Carolina native, had always dreamed of swimming with killer whales, and SeaWorld – famous for their killer whale performances – seemed like the perfect place to do it. Dukes was so adamant to swim with the animal that he snuck into the park after it was closed and allegedly got into the water with a killer whale named Tilikum who, at the time, was the largest killer whale in captivity. Dukes’ body was discovered in the tank the following morning. The name Tilikum might sound familiar. The animal has been in the news several times for being involved with the death of humans. The first incident was in 1991, when Tilikum dragged his trainer to the bottom of his tank, where she ultimately drowned. More recently, in 2010, SeaWorld Performer Dawn Brancheau was tragically scalped, dismembered, and killed by Tilikum. Though these two events were tragic, the trainers who lost their lives had permission to be in the tank with Tilikum. Dukes did not. However, that didn’t stop Dukes’ parents from hitting SeaWorld with a multi-million dollar lawsuit claiming negligence because SeaWorld did not post warnings that the killer whales could kill people. They also blamed SeaWorld for their son’s obsession with killer whales in the first place, claiming SeaWorld marketed them as friendly creatures by selling plush toys of them in the gift shop. Eventually, the case was either dropped or settled discreetly out of court – and not much more is known about what happened following this incident. The second trespassing case might be even more bizarre than the first, considering that this one ended in legal victory for the trespasser. In 1998, Terrence Dickinson was in the middle of robbing a house when he became trapped in the garage because the automatic door opener was not working properly. Dickinson was trapped in the locked garage for eight days until the family returned home from vacation. He survived off of dog food and Pepsi. He eventually sued the homeowner’s for mental distress, a form of personal injury, and was awarded $500,000 by the courts. Sometimes personal injury cases become famous due to the bizarrity of the case, as seen above. Other times they become famous because the injury occurred in front of millions of Americans. Bret Michaels, lead singer of the band Poison, sued Columbia Broadcasting System (CBS) after suffering an injury at the Tony Awards – a nationally broadcasted awards show celebrating performance theater. After performing, Michaels was in the process of exiting the stage when he was hit in the head by a prop that was descending from the ceiling. Viewers immediately took note, prompting the host of the show to jokingly say that Michaels “took head-banging to a whole new level,” riffing off of Michaels’ rock-and-roll background. However, it was quickly discovered that this was no joking matter. Michaels suffered a fractured nose and a split lip, and several months later suffered a near-fatal brain hemorrhage. As we learned in our last blog, traumatic brain injuries can occur months after an initial accident, so it is safe to allege that the hemorrhage could have been a direct result of the incident at the Tony’s. Michaels sued CBS for negligence, claiming that they did not instruct him on how to leave the stage, and that they did not inform him that there would be a descending prop. The courts ruled in Michaels’ favor, but the amount of the settlement has not been disclosed. Perhaps the most widely known personal injury case on our list is Liebeck vs. McDonald’s. Stella Liebeck, 79, was going through a McDonald’s drive-thru in 1992 to get a cup of coffee – possibly what would become the most famous cup of coffee in the world. After receiving the coffee, her grandson – who was driving – pulled the car over to let Liebeck put cream and sugar in her drink. When she removed the lid, the hot coffee spilled on her lap, causing third-degree burns. Here’s where things get tricky. The coffee that was in Liebeck’s cup was between 180 and 190 degrees fahrenheit. Burn experts state that third-degree burns can occur within two to three seconds at temperatures that hot. So why did McDonald’s give Liebeck coffee knowing that it could cause severe injuries? McDonald’s knows that customers expect hot coffee when they come in, and because of that brew their coffee anywhere from 195-205 degrees, and store their coffee between 180 and 190 degrees in order to achieve the rich coffee flavor that coffee-drinkers crave. So now we have an elderly patron who was served coffee that McDonald’s knew could cause third-degree burns, but they served it anyways. What happens next? After informing McDonald’s of the accident, being hospitalized for eight days, and undergoing extensive medical treatment, Liebeck requested that McDonald’s simply pay for her medical bills, which totaled $11,000. For a billion dollar company like McDonald’s, $11,000 might seem like pocket change. But because McDonald’s was following standard coffee protocol, they refused Liebeck’s request. That’s when Liebeck hired a personal injury lawyer, Reed Morgan. Together they requested a settlement of $90,000. McDonald’s countered with an offer of $800. Keep in mind that Liebeck’s injuries resulted in skin grafts and disfigurement. $800 was a slap in the face. With damning evidence against McDonald’s, stating that they acted with negligence by serving excessively hot coffee without adequate warnings, and that they already had 700 similar claims brought against them in the 10 years leading up to the trial, Morgan hit them with a $300,000 settlement. McDonald’s argued that Liebeck was responsible for her own injuries, since she removed the lid herself. After the jury deliberated, Liebeck was awarded a total of $640,000 for compensatory and punitive damages. Liebeck’s case is the perfect example of how important it is to hire a personal injury lawyer if you’ve been injured due to the negligence of another. If Liebeck had chosen to fight this on her own, she might have settled for the $800 that McDonald’s originally offered her. It is also important to remember that no case is too frivolous if you have suffered an injury. Many people criticised Bret Michaels when his case was brought to court, claiming that he was a rich and famous performer, why did he need to sue CBS for more money? Liebeck faced backlash and ridicule for her lawsuit, with many people saying, “Who doesn’t know that coffee is hot?” The fact of the matter is that Liebeck did know her coffee would be hot, but she didn’t expect to be served a cup of coffee that McDonald’s knew could cause bodily harm yet still refused to change their policies. Bret Michaels may be a famous performer, but just like everyone else, he was still entitled to compensation when his injury was caused by the negligence of another. If you have been injured due to the negligence of another, be sure to contact a personal injury lawyer immediately to help you get the compensation you deserve. 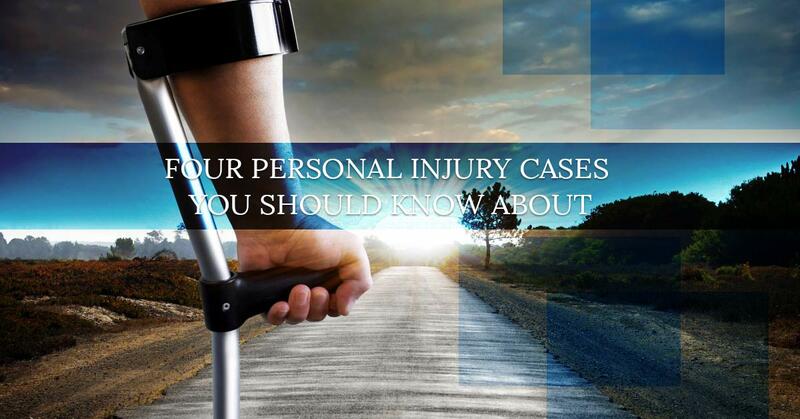 If you have suffered a personal injury in the state of texas, contact The Law Offices of Alex R. Hernandez Jr., PLLC. today to find out how we can help.